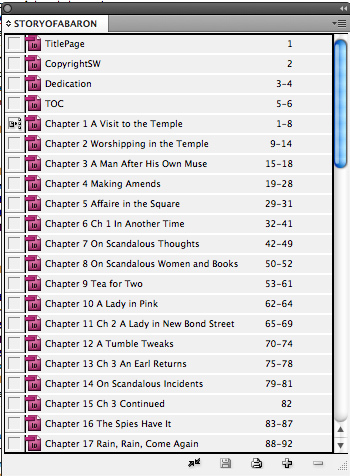 Now that you have your front matter and chapter files complete, it’s time to do the backmatter files. The back of your book should include a teaser, or excerpt, for your next book as well as an author biography and links to your other books. 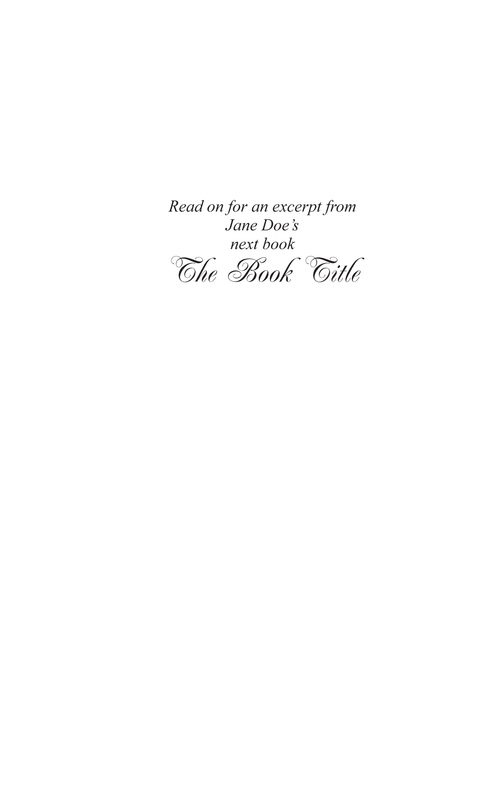 On the page following your author biography, type a heading like “Other Books by Jane Doe”. Now you just need to add your new files to your bookfile. Click the + at the bottom to add a file. 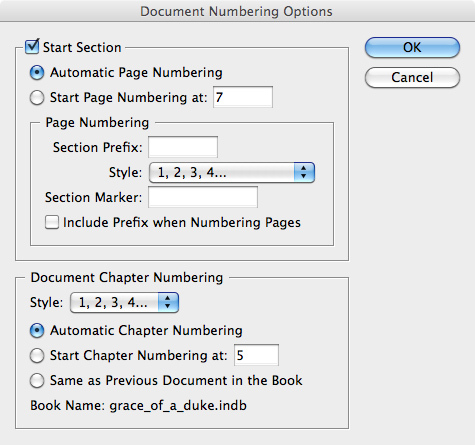 Start with the file introexcerpt.indd (or whatever files you have created since last populating your book file). Choose File > Save for all your changed/updated files. 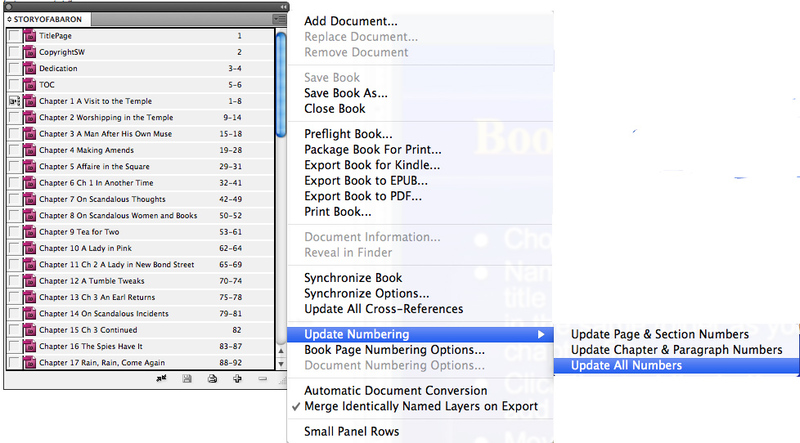 From bookfile palette menu, choose Save Book. 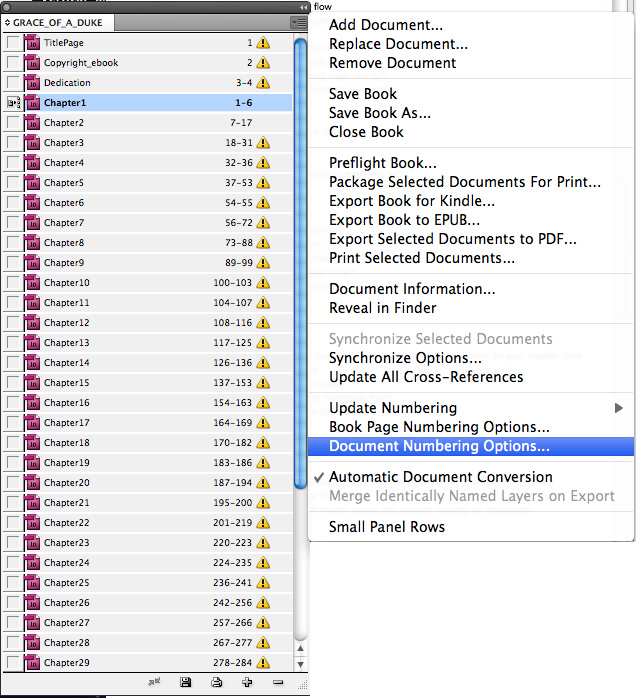 Double-check your page numbering by opening a few files. Make any corrections where necessary and repeat the steps above to update the numbering. Be sure to save your bookfile. 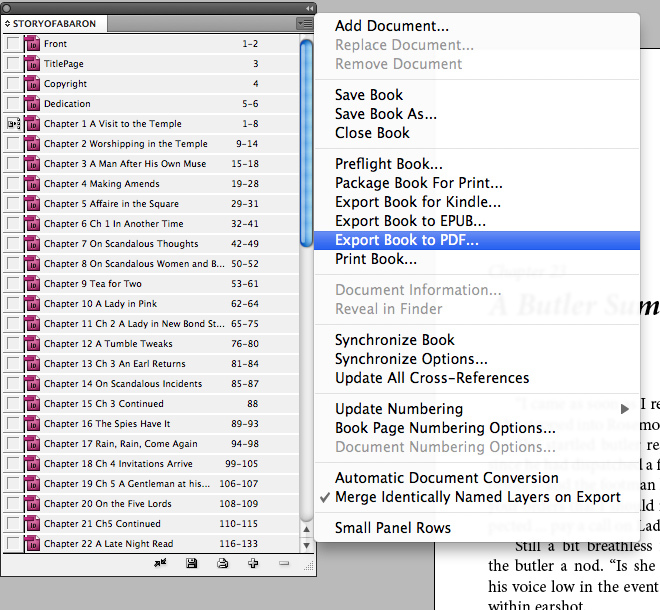 Now you’re ready to output a PDF for a printed book. In the next post, you’ll create and add a table of contents file and output the epub and Mobi files for the ebook versions of your book.